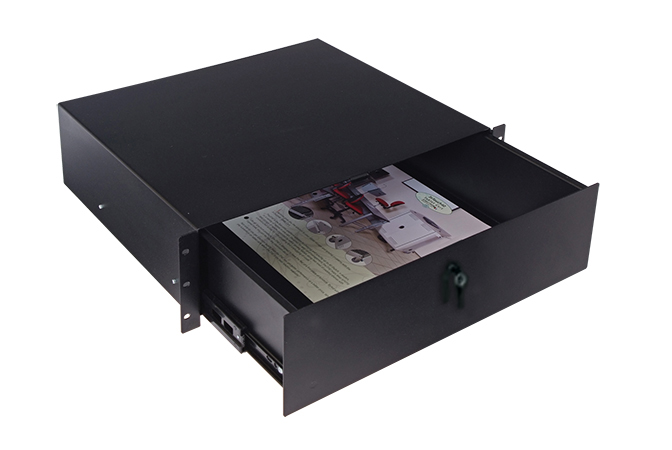 Our rack mount drawers can be mounted in most of our products with rack rail. The 3RU drawer locks for security, pulls all the way out for convenience, and has a cord pass-through in the back of the drawer. Requires 3RU. 50 lb weight capacity. Interior dims: 15.9375"W x 14.5"D x 5.25"H.